At Highest Integrity Services, Inc we have built our company on high quality and fair pricing. We give attention to detail and back our labor and workmanship with a 1 year warranty. Bathroom and Kitchen remodeling. Decks and Porches. All other renovations. Specializing in the elderly and handicap accessible, walk in tubs and showers, wheelchair ramps and lifts. Electrical, Plumbing and Carpentry. We do the job start to finish. Amish cabinets, shelving and trim available. Also solid Hardwood tongue and groove flooring. Residential and Commercial. Litt’s Plumbing, owned and operated by 3rd generation family members, was founded in 1952. It has remained in the same location, serving the Greater Cleveland area with all its kitchen, bath and plumbing needs. Litt’s was founded by our grandfather Harry Litt and our father Joe Payner. We continue to uphold their reputation by supplying our customers with quality products as well as excellent service. Our pledge to you… Litt’s personal and professional services are second to none and all of our work includes a warranty, our reliable service and no subcontractors. Our experienced sales associates and installers promise to deliver quality workmanship every step of the way. Northeast Ohio Home renovations is a full service company. We remove the old, clean up the space, and install the new. Our specialty is managing the entire renovation project start to finish and elimination the need for a customer to work with multiple contractors. Do you want to change your bathroom layout? Update your tile? Add a large walk-in shower? 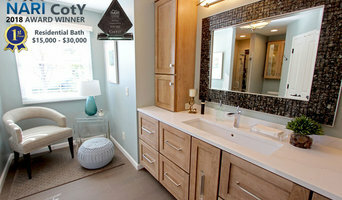 We create the dream bathroom you always wanted to start your day right or finish a long day in a spa-like setting. Whether you are renovating your main kitchen or creating a new one, we can help by installing your cabinets, creating custom cabinets, installing your flooring and creating mosaic backsplashes. What does a North Royalton kitchen and bath remodeling expert do? Licensed Ohio kitchen and bath remodelers are contractors who specialize in altering the structure of an existing space, rather than building one from the ground up. Because he or she must deal with a previous builder’s work, the job can get more complicated than new construction. You might wonder why they often specialize in both kitchens and bathrooms, but if you think about those two spaces, they actually have a lot in common. Kitchens and bathrooms include an abundance of fixtures that require careful planning and installation, including sinks, faucets, tubs and toilets that all need water hookups and drainage. They also use similar materials, such as tile and stone for countertops and flooring, due to the nature of their use. So it makes sense that North Royalton kitchen remodelers and bathroom remodelers be one in the same. A bathroom or kitchen remodeler translates architectural plans from page to reality; some are also trained to provide design services so that you don’t have to hire a separate pro. Like a general contractor, a kitchen and bathroom remodeler in North Royalton, OH is responsible for hiring and supervising subcontractors and providing materials when necessary. They also should have a thorough knowledge of Ohio building codes and construction-related legal issues, as well as current design and product trends. Here are some related professionals and vendors to complement the work of kitchen & bath remodelers: Woodworkers & Carpenters, Kitchen & Bath Designers, Interior Designers & Decorators, Architects & Building Designers, General Contractors. Find a North Royalton kitchen and bathroom renovator on Houzz. 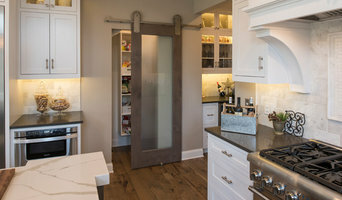 Narrow your search in the Professionals section of the website to kitchen and bathroom remodelers in North Royalton, OH. You may also look through photos of North Royalton, OH spaces to find kitchens or bathrooms you like, then contact the bathroom or kitchen remodeler who worked on it.